As many as 350 people set out from Oleandry street in Kraków, southern Poland, as part of the 53rd commemorative March of the First Cadre Company. Józef Piłsudski was a co-creator of the Polish state after the country regained its independence in 1918. Polish president Andrzej Duda said during the celebration that the order given by Marshal Józef Piłsudski 104 years ago was a “symbolic moment of the resurrection of the Polish Army”. “Soldiers, it will be a great honor for you to be the vanguard of the Polish Army fighting for the liberation of the homeland,” Marshal Piłsudski told his soldiers in August 1914. President Duda recalled that soldiers of the First Cadre Company knew that many of them would not return from their mission. “Thanks to their courage and determination, today we have a free Poland,” the President said. “As a Pole, a scout and the President of Poland, I wish that we had such a group of young people in every generation, who, no matter what, would believe in a free, sovereign and independent Poland,” he added. 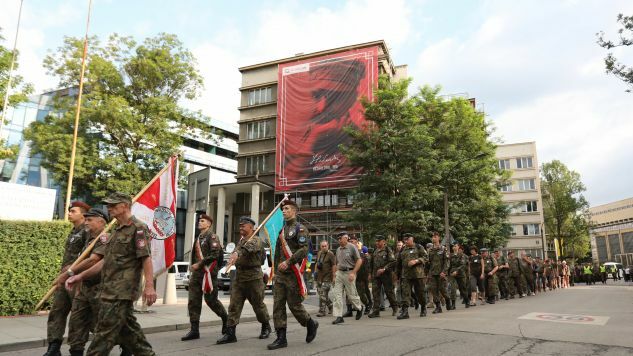 Józef Kasprzyk, the head of the Office for War Veterans and Victims of Oppression and the honorary commander of the march, said that August is “the most Polish” month of the year, because of the anniversaries that describe Poland’s modern history. “The March of the First Cadre Company, defending independence in the Battle of Warsaw, the Warsaw Uprising and the rise of “Solidarity” in 1980,” he said. After the ceremony, participants of the march went to Michałowice near Kraków. In 1914, soldiers of the First Cadre Company led by Lt. Tadeusz Kasprzycki pushed over the border between Austria-Hungary and Russian Poland. The route of the march leads through several towns in Małopolskie and Świętokrzyskie provinces in the south of the country. It will finish 100km to the north, in Kielce, on August 12. Participants of this year’s edition of the march are young members of the Riflemen Union, scouts, students of schools patronized by Józef Piłsudski, soldiers from units with Polish Legions heritage and cavaliers from organizations honoring the traditions of the Polish Cavalry from the interwar period. The First Cadre Company was created from soldiers of the Riflemen Union and Riflemen Teams led by Marshal Józef Piłsudski. On August 6, 1914, the Austro-Hungarian Empire declared war on the Russian Empire, which at the time extended to cover much of what is modern eastern Poland. The First Cadre Company set out from Kraków in the early hours of August 6, 1914. At 9:45 AM they pushed over the border in Michałowice and liberated several towns from Russian control. On August 12 they reached Kielce, central Poland. Their ultimate goal was the capture of Warsaw and its liberation from the hands of Tsarist Russia. However, the Russians checked the First Cadre just outside Kielce on August 13, which resulted in the Cadre's retreat from Kielce back to Kraków. Although this march was a small episode in a military sense, some historians say that it had significant political meaning, because it underlined the “Polish issue” at the beginning of WWI. The First Cadre Company was the basis for the Polish Legions and formed the core of the First Brigade in WWI which helped in regaining Polish independence in 1918. 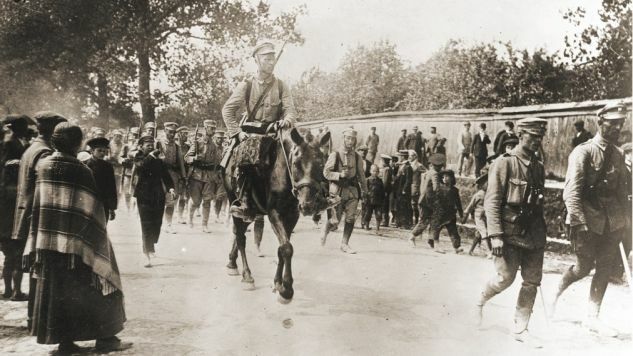 The march of First Cadre Company was commemorated for the first time in 1924, and in total there were 15 celebrations before the outbreak of WWII. The tradition was reborn in 1981. This year's march coincides with the 100th anniversary of Poland's regaining its independence in 1918. Later in the day, President Duda signed into law a bill on the creation of a Medal for the Centenary of Regained Independence, which will serve as a sign of gratitude and respect for people who have given outstanding service to the Polish state and society. The new medal is intended to be a distinction granted to Polish citizens living during the celebratory period of the country's centenary of regaining independence, between 2018 and 2021. The medal will be awarded to people who have contributed to Poland's sovereignty and who have shown impeccable public and civil or military service. President Duda said that the new medal is related to the Independence Decade Medal established in 1928, 10 years after Poland regained its independence. "We want this distinction ... to decorate people of merit for building [the Republic of Poland's - ed.] potential, for rebuilding it and creating today that which we most need: a strong, efficient, modern Polish state, which will be able to develop further and strengthen itself in our part of Europe," the president said. The medal will be awarded by the president either on his own initiative or at the request of the prime minister, ministers, senior civil servants or provincial governors.